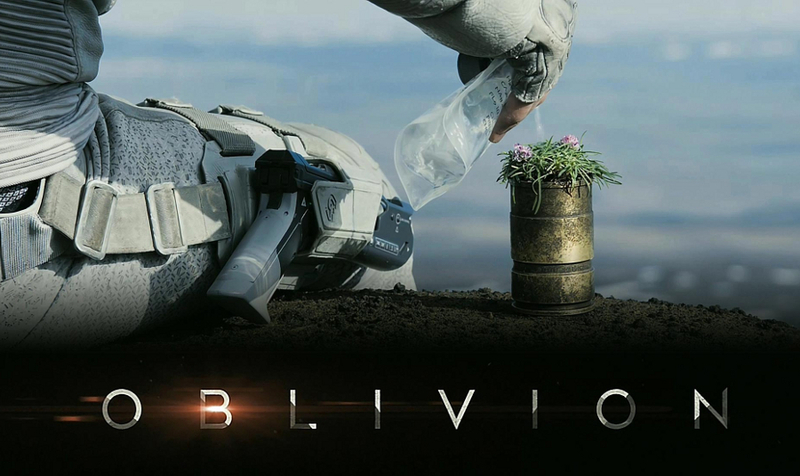 Oblivion is the latest “Tom Cruise film”, a sci-fi action adventure which takes place in the future. Earth has been attacked by aliens and after a nuclear retaliation the war was won, but the planet was in ruins. What was left of humanity flew into space to live on Titan and now only the “clean-up crews” are left. Tom Cruise plays (another) Jack who together with his wife Victoria, played by Andrea Riseborough, protect giant hydra rigs which convert water to power for the human colony on Titan. The husband and wife team service the drones which protect the hydra rigs from scavengers, the last survivors who attempt to disrupt the operations. The movie is visually stunning, everything from the futuristic technology from the wastelands now on Earth just look the part. The visual effects are believable and the sounds are a delight to listen to. The characters all fit their roles and while Tom Cruise plays himself, it works. The giant space station named the Tet which orbits Earth looks really cool, especially when seen from the ground. You can tell inspiration was taken from a lot of classic movies for the designs. The plot is interesting, it has similarities to Wall·E in the way that the characters appreciate the little things left behind. The story does have some twists and cool action scenes. I’d say its one of the better sci-fi films I’ve seen in a long time. Morgan Freeman is also in it, can it get any better than that? So if you’re a fan of sci-fi movies, then you’ll probably like this movie. Well worth getting on blu-ray.